In partnership with departments and programs across Northwestern, the Alice Kaplan Institute for the Humanities will hold a year-long series of conversations around the theme of SECURITY. In what framework is security an ethical goal? When does the drive to achieve security create inequalities, insecurities, and violence? What forms of security are sought in times of uncertainty? Distinguished scholars and artists will consider struggles over security from many eras and regions to create a sustained dialogue that demonstrates a variety of approaches in the arts and humanities. Kaplan will convene three large-scale keynotes, and we will also partner with units for visiting speakers and artists who will deepen this conversation by providing different disciplinary perspectives. With discussants Samuel Weber (Northwestern) and James Martel (San Francisco State University). Michael Dillon researches the problematisation of politics, security, and war from the perspective of continental philosophy. He has been especially interested in what happens to the problematisation of security when security discourses and technologies take life rather than sovereign territoriality as their referent object. He has also written extensively on security and war, international political theory, continental philosophy, and cultural research. Since security is foundational to all understandings of the political, he also researches the relation between continental thought and political theory, concentrating increasingly on the philosophy of the event, the politics of encounter, and more recently divine violence and political theology, drawing on the philosophy of Giorgio Agamben, Walter Benjamin, Jacques Derrida, and Jacques Ranciere. Michael Dillon is the author of The Liberal Way of War: Killing to Make Life Live. The two films in this program apply minimalist techniques to explore the forensic examination of sound and vision, deconstructing deceptive images of security. 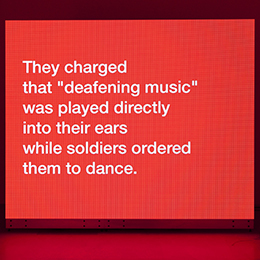 British-Jordanian artist and “private ear” Lawrence Abu Hamdan stages an intricate relay of sound and image to investigate the use of live ammunition in crowd control by Israeli Defense forces in Rubber Coated Steel. 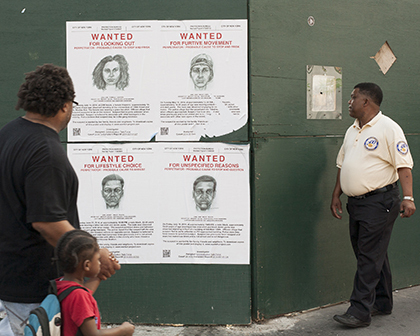 Chris Kennedy’s Watching the Detectives uses text and still images to reconstruct the mistaken efforts of the amateur social-media sleuths who sought to identify the perpetrators of the Boston Marathon bombing. In person at the screening: Filmmaker Chris Kennedy. "Since 2015 I have been involved in an analog photoethnographic project focused on documenting the daily lives of Honduran smugglers who profit from transporting undocumented migrants across Mexico. In this talk I discuss the relationship between transnational gangs and the human smuggling industry and outline the complicated role that photography plays as a field method and data source in this violent, hyper-masculine, and ethically challenging ethnographic context." 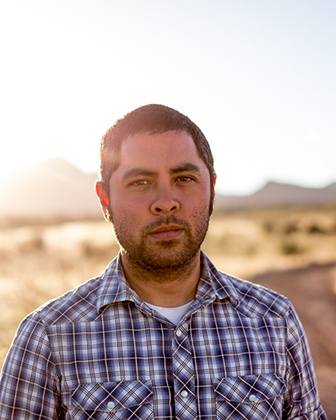 Jason De León is Arthur F. Thurnau Professor and Associate Professor of Anthropology and the Director of the Undocumented Migration Project. His book The Land of Open Graves: Living and Dying on the Migrant Trail was published by the University of California in 2015. What happens when security for some is defined as​ wielding power over others? In this conversation, we will identify one of our society’s most destructive definitions of security, constructed during the colonial era and institutionalized within founding U.S. law. We examine the invention of a group of humanity called “white” people and explore how that served to safeguard the security of elite landholders by dividing laborers and completely reorganizing society. Jacqueline Battalora, author of Birth of a White Nation, will discuss the legal establishment of “white” people and trace its enduring legacy. Author Rachel Jamison Webster will tell a story of some of her ancestors who lived through this pivotal historical moment, including Molly Walsh, Banna’ka, Jemima and Benjamin Banneker. She will compare the experiences of those who rejected the security of whiteness, and those who staked its claims. Rachel Jamison Webster is the author of the books, Mary is a River, September and The Endless Unbegun. She edited two anthologies of writing by Chicago youth, Alchemy and Paper Atrium, after working with Maggie Daley to establish paid after school arts training for thousands of city teens. Rachel is an Associate Professor of Instruction in the English Department, where she teaches courses in Creative Writing, and where she served as Director of the program from 2014-2018. Last year, she was an Op Ed/Public Voices Fellow, and received a Hewlett Fellowship for her work to establish diversity and social inequalities education for Creative Writing majors. Rachel's essays about healing, ancestry, politics and literature appear in many outlets, including Poetry, Tin House, L.A. Review of Books and Pacific Standard. A moderated conversation with Chicago artists committed to justice and to using art as a mechanism for change. Dorothy Burge and Mary Patten of Chicago Torture Justice Memorials, Kevin Kaempf of Lucky Pierre, and Eric Blackmon and Sarah Ross of Prison Neighborhood Art Project will speak to their work both as individuals and in collaboration, followed by dialogue moderated by Risa Puleo, Ph.D. Candidate in Art History and curator of the exhibition Walls Turned Sideways: Artists Confront the Justice System, currently on view at the Contemporary Arts Museum Houston and including work by these artists/collectives and 40 others nationally. This event kicks off "Transformative Imaginations: Decarceration and Liberatory Futures," the annual Imagining America gathering on art and justice taking place in Chicago October 19 -21, 2018. Increasing our collective “resilience” has come, in recent years, to be embraced as the solution to a wide range of security problems: from securing cities against the ravages of climate change, to mitigating the vulnerability of the financial system to global crisis, to preparing the health infrastructure for the onset of a catastrophic disease outbreak. In these various contexts, the resilience of a given system indicates its capacity to withstand an unexpected shock while sustaining its integrity and adapting to new circumstances. This talk will examine the genealogy of “national resilience” in the United States, focusing on three key moments: first, the economic analysis of enemy industrial production systems during World War II; second, the invention of catastrophe modeling as part of Cold War civil defense; and finally, the assemblage of national preparedness for multiple potential threats in the early 2000s. In particular, the talk will focus on the under-appreciated history of stockpiling as a technique of resilience. How, it asks, have experts addressed the question: what supplies will be needed in order to ensure collective survival in the aftermath of an unprecedented future catastrophe? 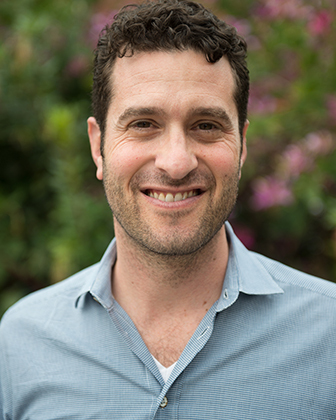 Andrew Lakoff is professor of Sociology and Divisional Dean for Social Sciences at the University of Southern California. He holds a joint appointment in the Departments of Sociology and Communication. He was trained as an anthropologist of science and medicine, and has conducted research in Argentina, France, and the United States. His areas of interest include globalization processes, the history of the human sciences, contemporary social theory, and risk society. Lakoff’s first book, Pharmaceutical Reason: Knowledge and Value in Global Psychiatry (Cambridge, 2005), examines the role of the global circulation of pharmaceuticals in the spread of biological models of human behavior. 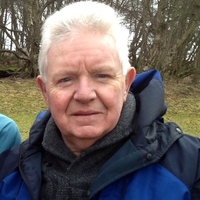 He has also co-edited a book entitled Global Pharmaceuticals: Ethics, Markets, Practice (Duke, 2006), and has published articles on visual technology and the behavioral sciences, on the history of attention deficit disorder, on antidepressants and the placebo effect, and on forms of expertise in global health. Lakoff’s current research concerns the recent articulation of expertise in public health and security in a global context, and his recent book publications include the co-edited volume, Biosecurity Interventions: Global Health and Security in Question (Columbia University Press, 2008), and the edited volume Disaster and the Politics of Intervention (Columbia University Press, 2010). His newest book is Unprepared: Global Health in a Time of Emergency (University of California Press, 2017). 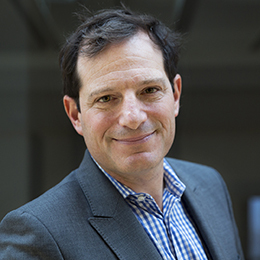 Scott Straus is Vilas Distinguished Achievement Professor of Political Science and International Studies at UW-Madison, where he also serves as Associate Chair/Director of Graduate Studies of Political Science. Scott specializes in the study of genocide, political violence, human rights, and African politics. His most recent books are Making and Unmaking Nations: War, Leadership, and Genocide in Modern Africa (Cornell University Press, 2015), which has won four awards, including the 2018 Grawemeyer Award for Ideas Improving World Order, as well as two honorable mentions, and Fundamentals of Genocide and Mass Atrocity Prevention (United States Holocaust Memorial Museum, 2016). A conversation with Jenny Davis (Illinois), J. Kēhaulani Kauanui (Wesleyan), and Doug Kiel (Northwestern), moderated by Bonnie Etherington (Northwestern). Three Indigenous Studies scholars take up questions of sovereignty, in a conversation that will ask where Indigenous sovereignty and insecurity intersect. Defining Indigenous sovereignty capaciously, to include political status and governance along with scholarship and activism, the conversation will consider how sovereignty matters for Indigenous people and nations and their futures. Screening and discussion with acclaimed video artist Tony Cokes. Since the late 1980s, Cokes’s work has addressed questions of security by questioning state-imposed forms of visibility, with a particular emphasis on marginalized communities and media technologies in the post-9/11 “War on Terror.” Drawing on his groundbreaking Evil series (2004-ongoing), this screening and artist’s talk explores the frictions between pop music and critical theory, political outrage and post-conceptual cool, oppressive regimes of visuality and the subversive subcultures of electronic music. UPDATE 1/24: This event is SOLD OUT. We will do our best to accommodate standby guests if seats become available. Cullors will be in conversation with Professor E. Patrick Johnson, Chair of the Department of African American Studies and Carlos Montezuma Professor of African American Studies and Performance Studies. 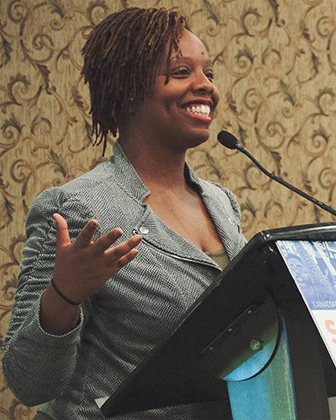 Artist, organizer, educator, and popular public speaker, Patrisse Cullors is a Los Angeles native and Co-Founder of the Black Lives Matter Global Network and Founder of grassroots Los Angeles-based organization Dignity and Power Now. She is also a senior fellow at MomsRising where she is working on ending Maternal Mortality and Morbidity. In 2013, Patrisse co-founded the global movement with the viral twitter hashtag #BlackLivesMatter which has since grown to an international organization with dozens of chapters around the world fighting anti-Black racism. In January 2018 Patrisse Cullors published her memoir, When They Call You a Terrorist: A Black Lives Matter Memoir. Her memoir became an instant New York Times Bestseller. Patrisse has been honored with various awards including: The Sydney Peace Prize Award (2017); Black Woman of the Year Award (2015) from The National Congress of Black Women; Civil Rights Leader for the 21st Century Award (2015) from the Los Angeles Times; Community Change Agent Award (2016) from BLACK GIRLS ROCK!, Inc.; Women of the Year Award for the Justice Seekers Award (2016) from Glamour, and ESSENCE’s first-ever Woke Award. Patrisse is currently a 2019 MFA candidate at the University of Southern California. Magid will discuss projects related to security, intimacy, and access. 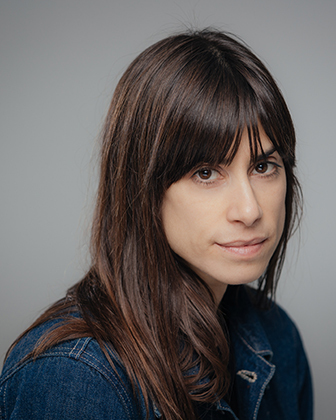 American artist Jill Magid’s work is deeply ingrained in her lived experience, exploring and blurring the boundaries between art and life. Through her performance-based practice, Magid has initiated intimate relations with a number of organizations and structures of authority. She explores the emotional, philosophical and legal tensions between the individual and ‘protective’ institutions, such as intelligence agencies or the police. To work alongside or within large organizations, Magid makes use of institutional quirks, systemic loopholes that allow her to make contact with people ‘on the inside’. Her work tends to be characterized by the dynamics of seduction, the resulting narratives often taking the form of a love story. It is typical of Magid’s practice that she follows the rules of engagement with an institution to the letter—sometimes to the point of absurdity. With solo exhibitions at institutions around the world including Museo Universitario Arte Contemporáneo (MUAC), Mexico City; Tate Modern, London; Whitney Museum of American Art, New York; Berkeley Museum of Art, California; Tate Liverpool; the Stedelijk Museum Bureau Amsterdam; Yvon Lambert, Paris and New York; Gagosian Gallery, New York; and the Security and Intelligence Agency of the Netherlands, Magid has received awards from the Fonds Voor Beeldende Kunsten, the Netherland-American Foundation Fellowship Fulbright Grant, and the 2017 Calder Prize. Magid has participated in the Liverpool, Lyon, Bucharest, Singapore, Incheon, Gothenburg, and Performa Biennials, and Manifesta, among others. She is an Associate of the Art, Design and the Public Domain program at the Graduate School of Design at Harvard University, and a 2013-15 fellow at the Vera List Center for Art and Politics. An adjunct teacher at Cooper Union, Magid is the author of four novellas. 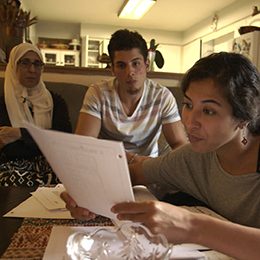 Her first feature film, The Proposal, premiered at Tribeca Film Festival 2018 and received an Honorable Mention for Best Emerging Filmmaker at Hot Docs in Toronto. Her work is included the collections of the Whitney Museum of American Art, Fundacion Jumex, and the Walker Art Center, among others. 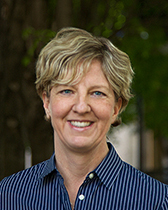 Elizabeth Hoover is Manning Assistant Professor of American Studies at Brown University. 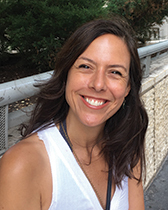 She teaches courses on environmental health and justice in Native communities, indigenous food movements, Native American museum curation, and community engaged research. 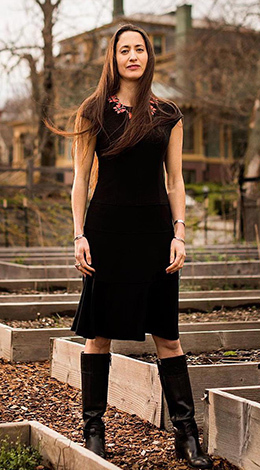 Her second book project, From ‘Garden Warriors’ to ‘Good Seeds:' Indigenizing the Local Food Movement, explores Native American farming and gardening projects around the country: the successes and challenges faced by these organizations, the ways in which participants define and envision concepts like food sovereignty, and the importance of heritage seeds.